Fitzpatrick's Crest Tavern is a Local Eatery and Pub focusing on families, but offering options for the more adventurous diners. We feature hand-crafted, freshly made foods, locally crafted ales and cocktails, using all-natural ingredients when available. 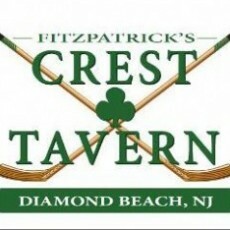 Fitzpatrick's Crest Tavern is a modern pub restaurant serving locally inspired food and drinks in a casual and energizing space for the whole family.